1CHEVROLET IS ANNOUNCING A CONQUEST INCENTIVE FOR CURRENT OWNERS/LESSEES OF A 1999 OR NEWER NON GM (I.E., NON-BUICK, CADILLAC, CHEVROLET, GMC, HUMMER, OLDSMOBILE, PONTIAC OR SATURN) PASSENGER CAR OR TRUCK WHO PURCHASE ONE OF THE ELIGIBLE NEW AND UNUSED MODELS LISTED IN GUIDELINE 2GENERAL MOTORS IS ANNOUNCING A DOWN PAYMENT ASSISTANCE PROGRAM THAT IS GOOD TOWARDS THE PURCHASE OF ONE OF THE ELIGIBLE NEW AND UNUSED MODELS LISTED. THIS ALLOWANCE MUST BE USED AS DOWN PAYMENT ON A SUPPORTED OR UNSUPPORTED FINANCE CONTRACT THROUGH GM FINANCIAL. SUPPORTED AND UNSUPPORTED LEASES ARE NOT ELIGIBLE FOR THIS PROGRAM. 3Not available or combinable with all offers, must provide at time of sale, see dealer for details. Must finance with GMF or affiliates, not available with special finance. 4DON'T PAY TOO MUCH! Not available or combinable with all offers, must provide at time of sale, see dealer for details. Must finance with GMF or affiliates, not available with special finance. 5ONLY CUSTOMERS WITH A CERTIFICATE QUALIFY FOR THE INCENTIVE. NO ADDITIONAL CUSTOMERS WILL BE ADDED TO ELIGIBILITY LIST. 6Must qualify through GM Financial. Not available with special finance, lease, or some other offers. Take delivery by 04-30-2019. See dealer for details. 1CHEVROLET IS ANNOUNCING A CONQUEST INCENTIVE FOR CURRENT OWNERS/LESSEES OF A 1999 OR NEWER NON GM (I.E., NON-BUICK, CADILLAC, CHEVROLET, GMC, HUMMER, OLDSMOBILE, PONTIAC OR SATURN) PASSENGER CAR OR TRUCK WHO PURCHASE ONE OF THE ELIGIBLE NEW AND UNUSED MODELS LISTED IN GUIDELINE 2GENERAL MOTORS IS ANNOUNCING A DOWN PAYMENT ASSISTANCE PROGRAM THAT IS GOOD TOWARDS THE PURCHASE OF ONE OF THE ELIGIBLE NEW AND UNUSED MODELS LISTED. THIS ALLOWANCE MUST BE USED AS DOWN PAYMENT ON A SUPPORTED OR UNSUPPORTED FINANCE CONTRACT THROUGH GM FINANCIAL. SUPPORTED AND UNSUPPORTED LEASES ARE NOT ELIGIBLE FOR THIS PROGRAM. 3Not available or combinable with all offers, must provide at time of sale, see dealer for details. Must finance with GMF or affiliates, not available with special finance. 4DON'T PAY TOO MUCH! Not available or combinable with all offers, must provide at time of sale, see dealer for details. Must finance with GMF or affiliates, not available with special finance. 5Not available with special financing, lease and some other offers. See participating dealer for details. 6ONLY CUSTOMERS WITH A CERTIFICATE QUALIFY FOR THE INCENTIVE. NO ADDITIONAL CUSTOMERS WILL BE ADDED TO ELIGIBILITY LIST. 7Must qualify through GM Financial. Not available with special finance, lease, or some other offers. Take delivery by 04-30-2019. See dealer for details. Reliable, efficient and advanced! 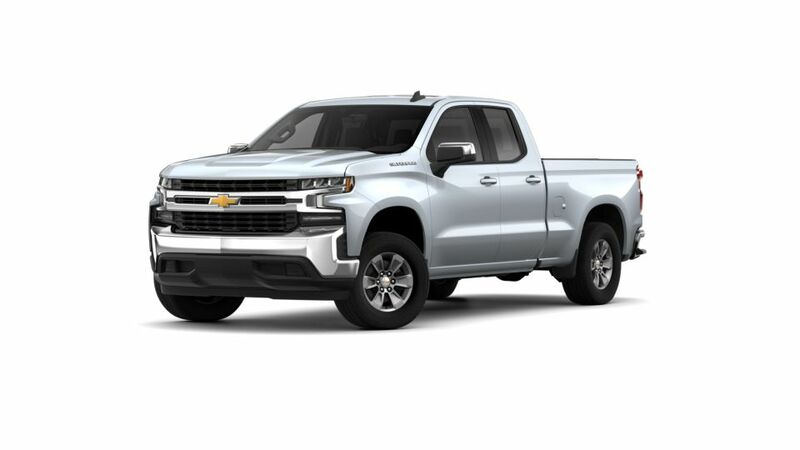 The brand new Chevrolet Silverado 1500 offered in Houston is high on performance and power. Houston, the Chevrolet Silverado 1500 packs a powerful V8 engine with eight-speed automatic transmission. An eight inch diagonal color touchscreen for navigation, a premium audio speaker system and Bluetooth for connectivity are some of the features for your comfort and convenience. Visit Sterling McCall Chevrolet to take a look at its large inventory of the new Chevrolet Silverado 1500.